One of the bigger surprises at today’s big Amazon event was something the company didn’t announce. After a couple of years of speculation that the company was working on its own version of the HomePod and Google Max, we still don’t have a truly premium Echo. That’s due, in part, to the fact that Amazon is already leaning fairly heavily on hardware partnerships with companies like Sony to offer people a premium Alexa-enabled smart speaker. But today, we got a better glimpse at how it plans to take on such products. And frankly, it’s a bit of fresh air. Amazon’s already laid the groundwork here. The first step in the plan is seeding the Echo and Alexa into as many rooms in as many homes as possible. Check and double-check, thanks in no small part to the super-low-cost Echo Dot. Today, the company demonstrated how those pieces can be turned into something more. After the event, we were ushered into a handful of fake rooms at Amazon HQ, designed to show the new products in their native habitat. 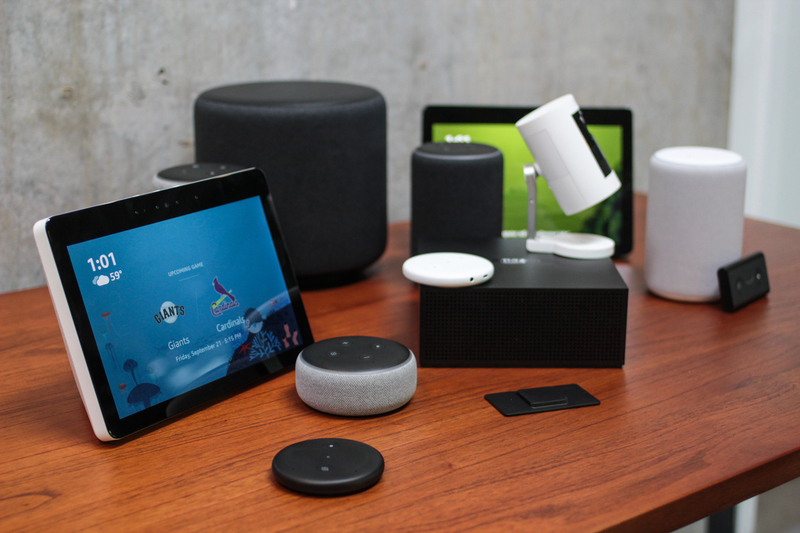 As I stood in front of a couch flanked by two of the new Echo Dots, the company blared some Ed Sheeran song (again, not my choice), with the devices splitting up the left and right stereo track. The sound was loud and decent, but couldn’t compete with the likes of the HomePod. No problem, though. Toss in the new Sub and pick up the Link Amp. Boom, you’ve got your very own modular home stereo system. It’s a compelling à la carte approach to the system that puts Amazon in competition with the likes of Sonos, but more importantly, makes existing Echos the centerpiece of a multi-room home speaker system. An Amazon clock? A microwave? None of these bizarre additions mattered much to my colleague, Matt Burns. The Link, on the other hand, as he put it, “I almost bought a $600 device a few weeks ago just to get optical out.” For $199 or $299, he can get his hands on the Link or Link Amp, respectively. 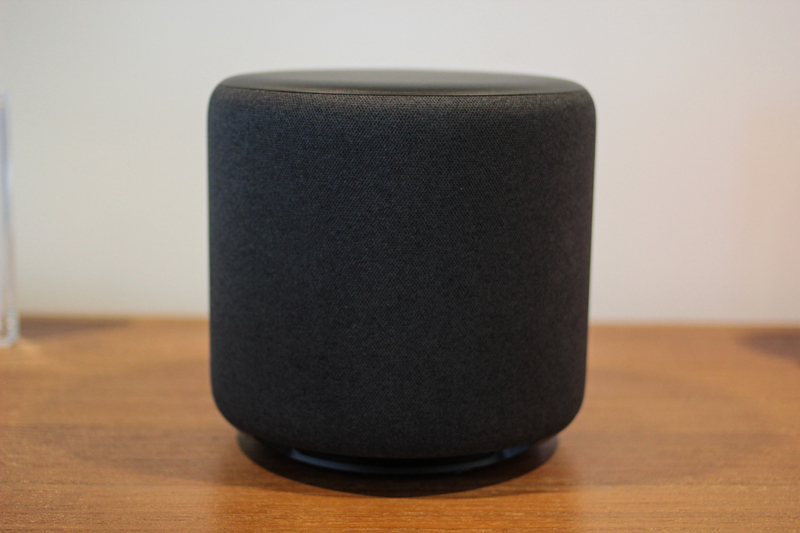 Instead of shelling out $349 or $400 for the HomePod or Home Max, you can create your own version piece by piece. Granted, all of the parts could easily end up costing you more than either option, but there’s a lot to be said for the ability to mix and match and customize on a per-room basis. This approach marks the single most compelling revelation in a day jam-packed with Amazon news. It will be fascinating to see how Apple and Google respond.